NORTH PARK — Is this heaven? 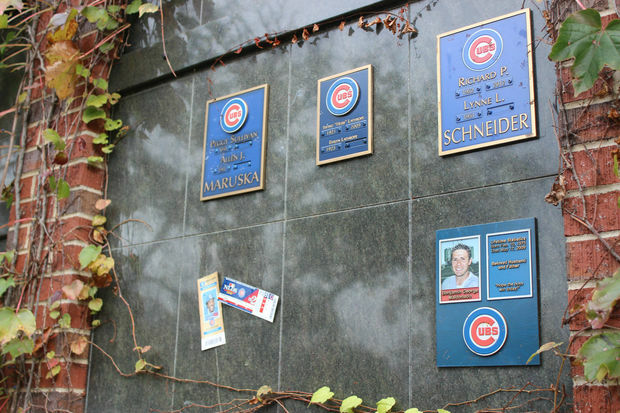 No, it's Bohemian National Cemetery, where an unusual burial site, "Beyond the Vines," offers Cubs fans the next best thing to a final resting place under Wrigley's center field bleachers. 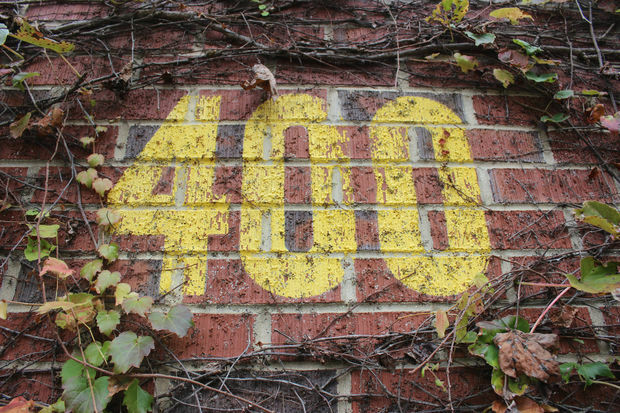 Covered in ivy, with a "scoreboard" perpetually set to 1:20 p.m., Vines' 24-foot-high brick wall mimics Wrigley Field's but is actually a columbarium, which is similar to a mausoleum, only for urns, not caskets. Sound a little creepy? It's meant to produce the opposite reaction. 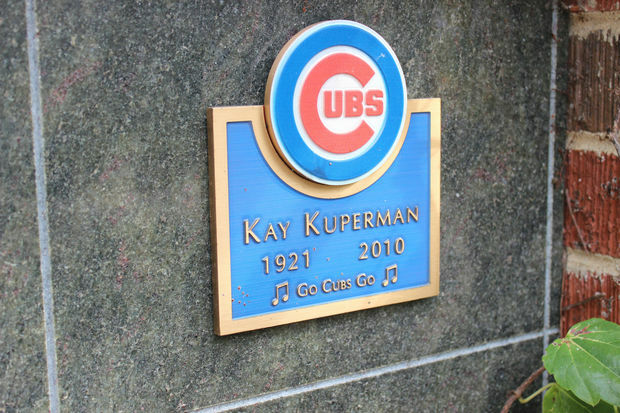 Listen to Patty Wetli describe the Cub themed burial crypt. Beyond the Vines was the brainchild of Dennis Mascari, who's been interred there himself since 2011. 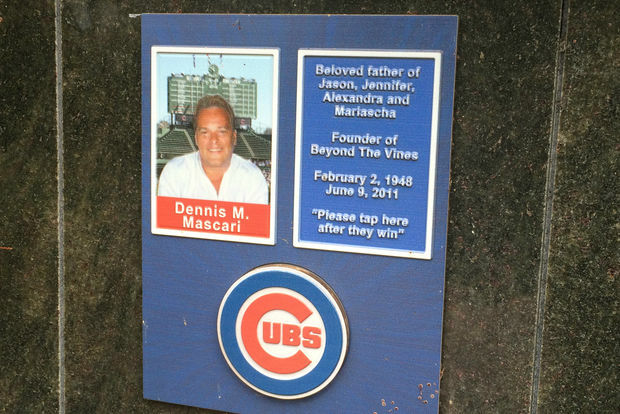 When the columbarium opened in 2009, Mascari told a reporter from ESPN.com that he'd been inspired to build the Cubs-themed crypt after yet another depressing visit to his father's grave. "I figured there had to be something better, a way people could visit their loved ones without being miserable," Mascari said. 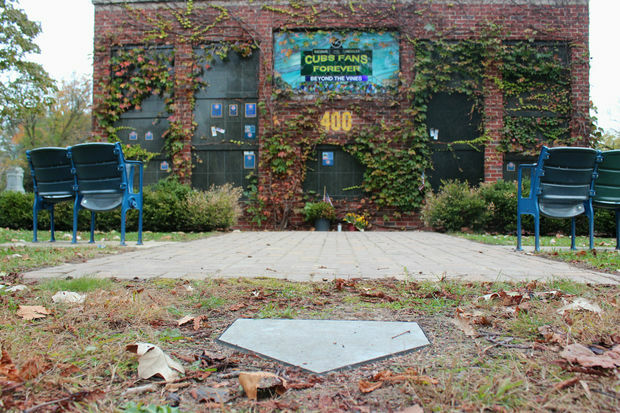 To date, fewer than 20 Cubs fans have chosen to spend the afterlife in Beyond the Vines, accounting for fewer than 10 percent of the columbarium's 288 "niches." "We have plenty of room," said caretaker Rob Charlemagne, who also conducts tours at the cemetery. Though queries about the site have picked up in the last 1½ weeks, Charlemagne said Beyond the Vines typically draws few curiosity seekers. "It's low on the totem pole" compared with other points of interest at the cemetery, he said. According to Charlemagne, the top draw at 122-acre Bohemian National, 5255 N. Pulaski Road, is the tomb of Chicago Mayor Anton Cermak, which attracts visitors from all over the world. Cermak was assassinated in 1933 when he took a bullet intended for President Franklin Roosevelt and is "literally considered a saint" by some Europeans, Charlemagne said. Niches cost $1,300 to $2,600. Mascari built Beyond the Vines to make a visit to the cemetery less depressing. The clock on the scoreboard is perpetually set for a 1:20 p.m. game time. 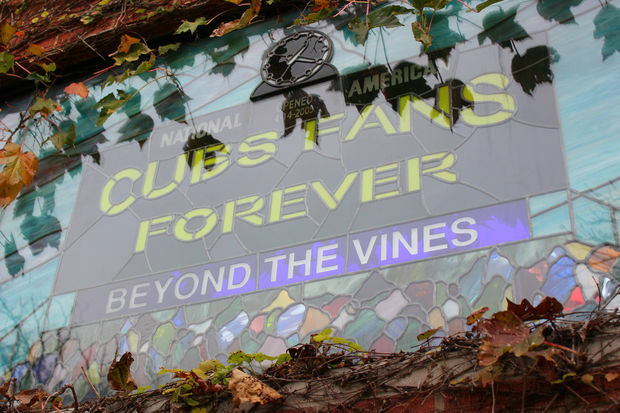 Beyond the Vines offers Cubs fans the next best thing to a final resting place under Wrigley's center field bleachers. 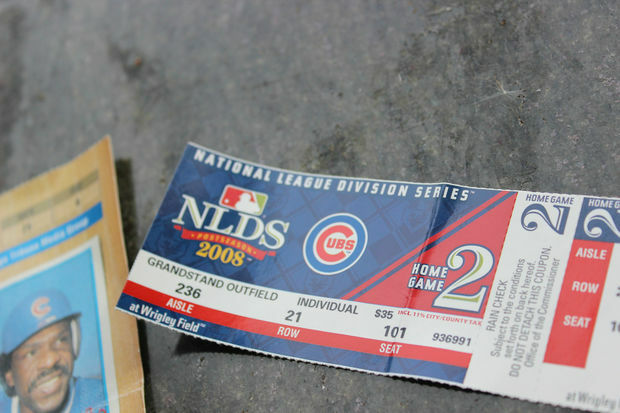 Visitors leave behind mementos, including ticket stubs. 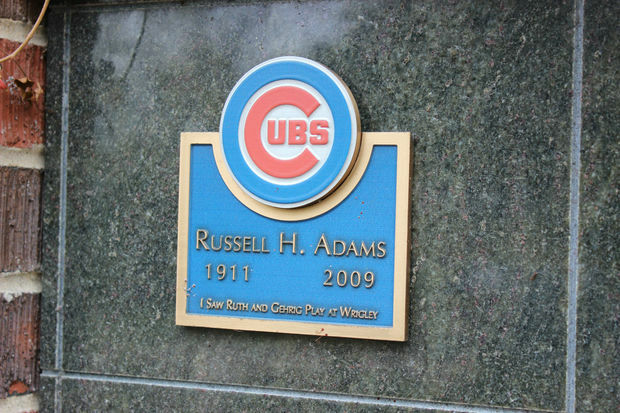 Still rooting for the Cubs, even in the afterlife. Beyond the Vines mimics Wrigley Field, right down to the ivy. 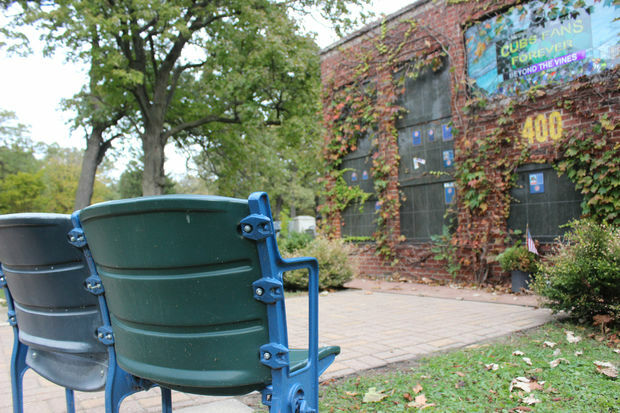 This Cubs fan saw it all, except a World Series victory. The Cubs and Wrigley Field are 95 percent owned by an entity controlled by a trust established for the benefit of the family of Joe Ricketts, owner and CEO of DNAinfo.com. Joe Ricketts has no direct involvement in the management of the iconic team.